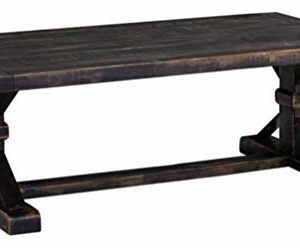 Washers and bottom adjuster feet ensure better stability, zero worry for tipping over. 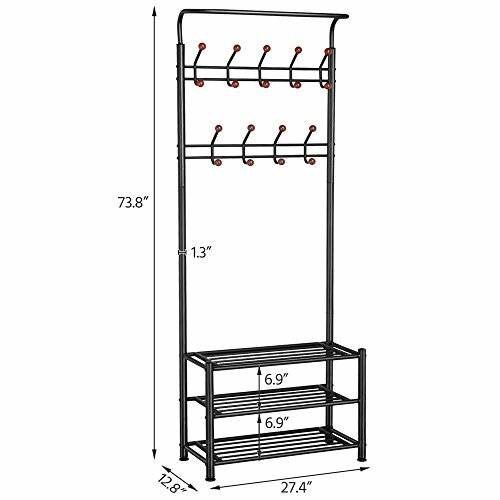 This multipurpose coat and shoe rack is constructed of antirust powder coated metal tube. 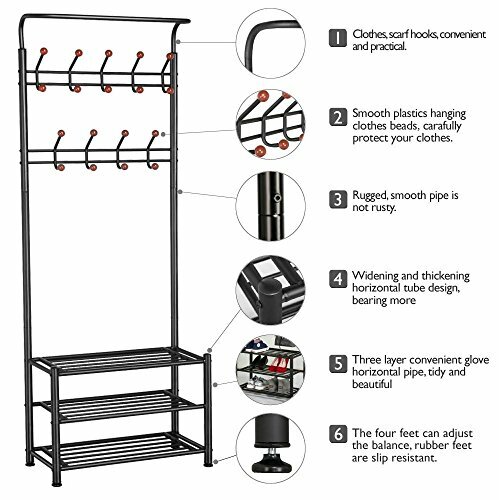 It combines the coat hanger, shoe rack and hanging rail to create a neat and organized storage space for your clothes, hats, umbrellas, shoes, etc. 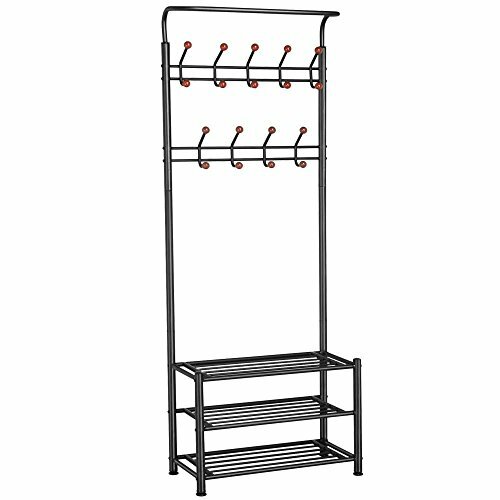 This entryway storage features with a hanging rack, 18 hooks and 3-tier shoe rack for ample storage space. 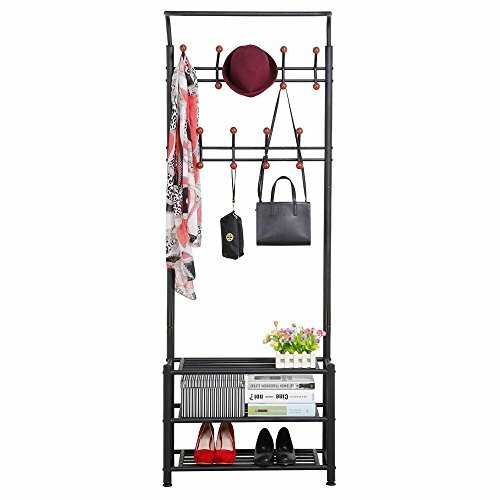 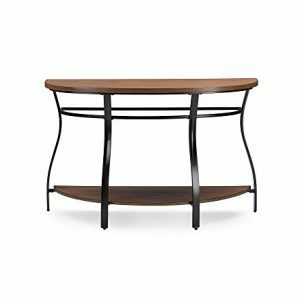 It’s an ideal choice for organizing your bedroom, office and a good storage solution in the entryway. 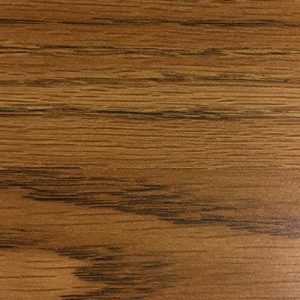 100% money back guarantee if you are not satisfied with this product.